Learn how to use Adobe Photoshop Elements 12 to successfully edit and fix your photos and digital images. Bring out the best in your photos! 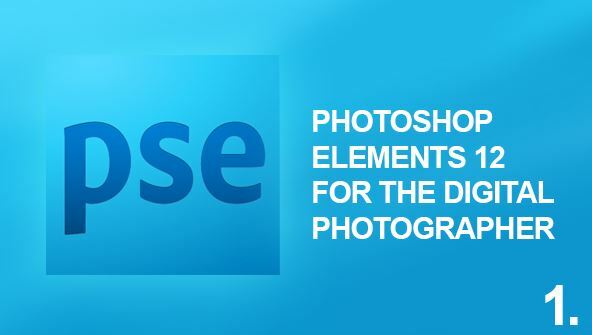 In this course, you'll learn how to use Adobe Photoshop Elements 12 to do everything from quick fixes to detailed enhancements that will greatly improve the look of your digital photos. Even if you've got no image-editing experience, this class will take you from novice to accomplished user. It's also a great solution if you're upgrading from an earlier version of Photoshop Elements. As you explore this program's many easy-to-use features, you'll gain control of Photoshop Elements' award-winning technology. Elements is so well designed that even from the start, you'll be able to get results that you never imagined possible. You'll master tools and techniques for editing images, fixing flaws, enhancing the final product, creating simple art projects, preparing images for email and the Web, and organising your images. From the moment that you enrol in Photoshop Elements 12 Digital Photography you will become an integral part of our learning community. You will experience the perks of classroom studies such as chatting by the water cooler or sharing your opinion on a specific task, all in your own home.